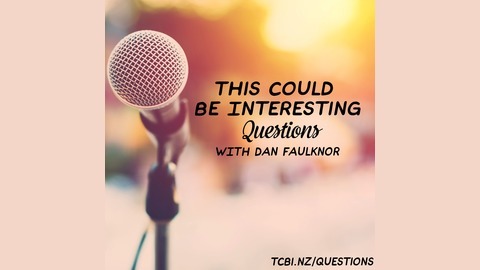 TCBI Questions is a podcast where two people get on a call and go through random “get to know you” questions ranging from super shallow to super deep. It’s funny and serious and thought provoking all at the same time. Neither person knows what the questions will be in advance and there are no skips! It leads to some fascinating and hilarious conversations. 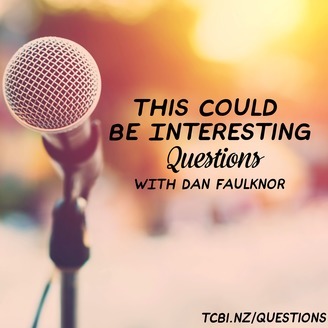 Subscribe to Questions only: iTunes | Android | RSS Guest: Stu Bought to you by Interesting Radio Questions Which movies have you watched over and over again? If you could have any type of animal for a pet, what would it be? What silly thing have you done in the name of love? Would you describe yourself as more of a feeler or a thinker? Why? If you could change one thing about the culture you live in, what would it be? Why? When you need to confront someone, would you rather communicate in person, on the phone, by e-mail, or by letter? Why? If you were to write a book about your life, what would it be called? When have you seen 'hell? here on earth? Which body part do you wish you could detach and why?